JAKARTA: Indian ace shuttlers PV Sindhu and Kidambi Srikanth will look to make a positive start to the new season when they kick off the international calendar at the $350,000 Indonesia Masters World Tour Super 500 tournament beginning on Tuesday. Sindhu and Srikanth have been simply sensational last season as they clinched multiple titles and they would begin their quest for another successful season, taking on Indonesia's Hanna Ramadini and Malaysia's Zulfadli Zulkiffli respectively in the main draw of women's and men's event. 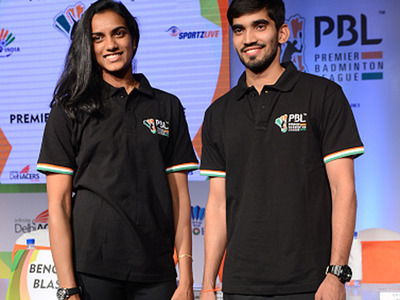 Sindhu won three titles and three silvers last season, while Srikanth exceeded all expectations with four titles and a runners-up finish and the duo would hope to continue their good run in the new season.